CHICAGO, ILLINOIS. The Greater Chicago Food Depository runs the Healthy Kids Market which distributes nutritious foods and basic essentials to qualifying parents from the cafeteria of the Calmeca Academy of Fine Arts and Dual Language School in the Brighton Park neighborhood on January 15, 2015. 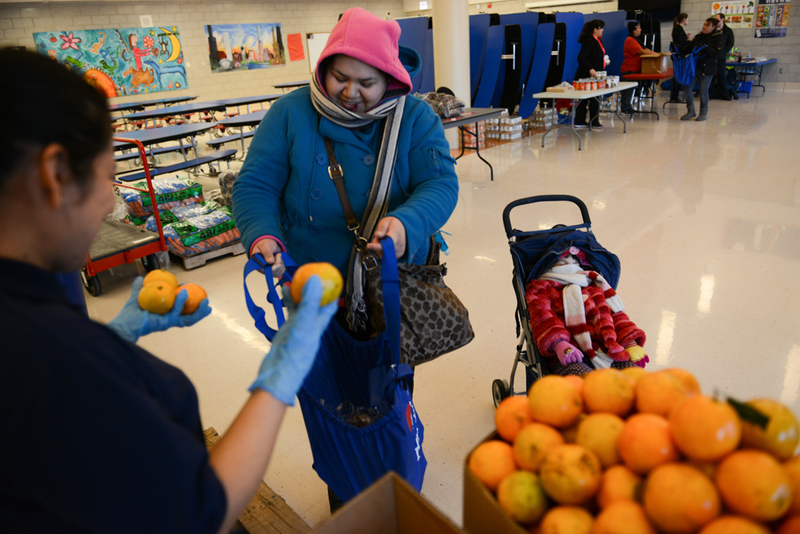 One in six Chicagoans requires food assistance.